So today's post is one from the vault!.... Well, that's a bit dramatic; perhaps six months ago! I came across a memory card I thought I had lost and found lots of products images I had ready for review on my blog. So, rather than letting them go to waste, I will share the products (that are all still available now) here. First up are up close pictures of the, sell-out, SoSu Hot Fire Palette. 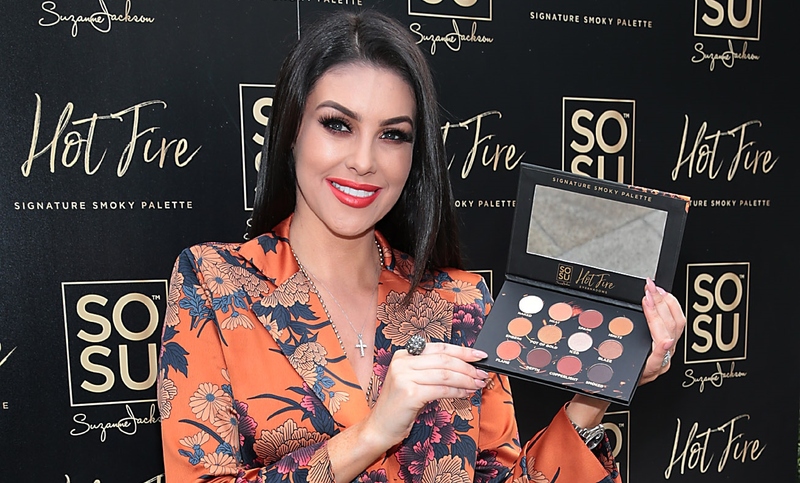 Suzanne Jackson is one of Ireland's biggest beauty bloggers and beauty business women and this was her first eye shadow palette launch. It retails for €29.95 and is available in pharmacies nationwide. The palette itself is made from a sturdy board so it's not too heavy and I was delighted to see that it included a large mirror in the lid - always a plus. Like I mentioned, the palette is still available from SoSue's website and from pharmacies nationwide. 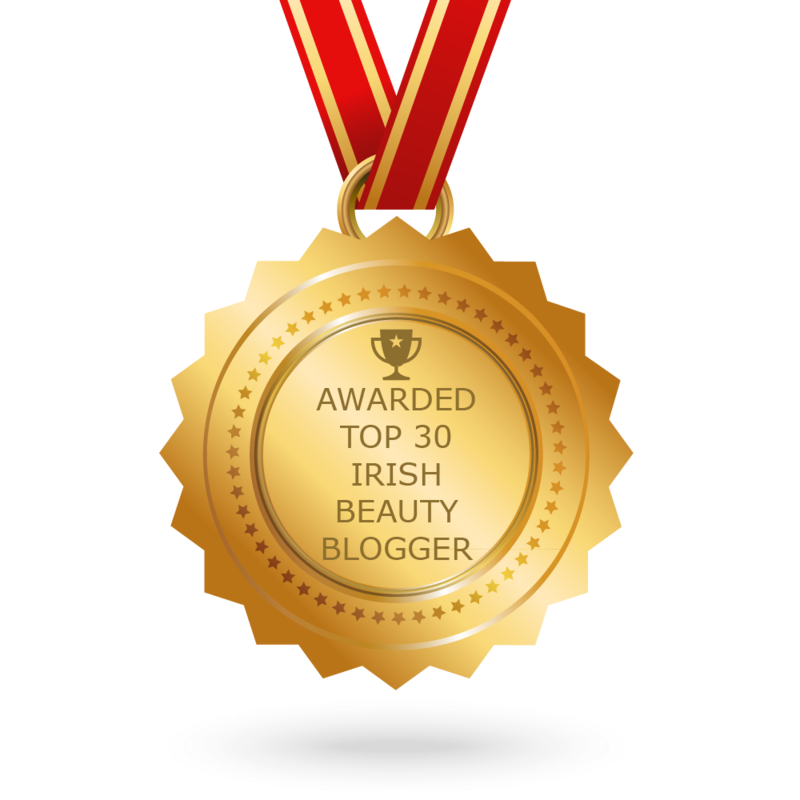 To buy online click >HERE< to get it for just €23.96 or >HERE< for €27.50 from Cloud10Beauty. So today, it's back to skincare. In general, my skin is typically "normal" but at times it can sometimes feel quite dehydrated. 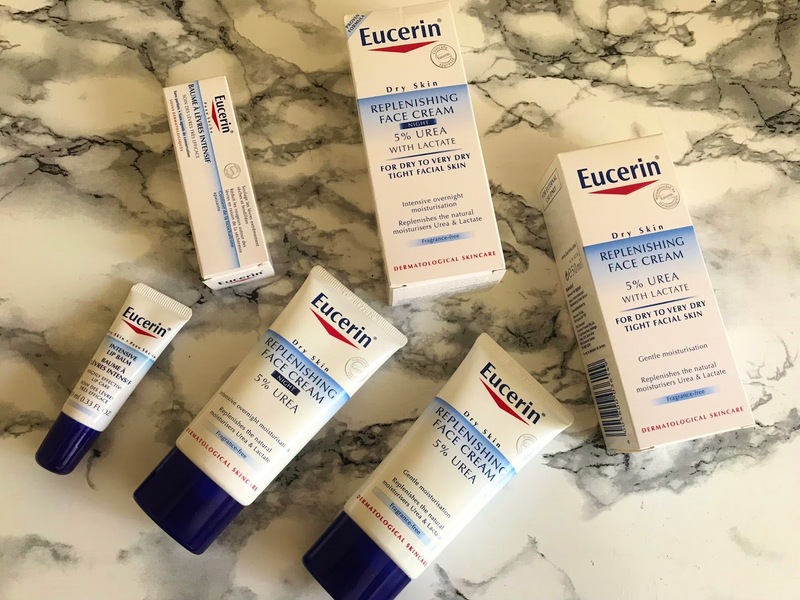 I had ran out of my previous moisturiser so I popped into my local Lloyds Pharmacy and saw these Eucerin ones on sale. Initially, I just bought the night time one, but was so impressed, I returned to buy the day time moisturiser and lip balm also. Here's a round up of of each. 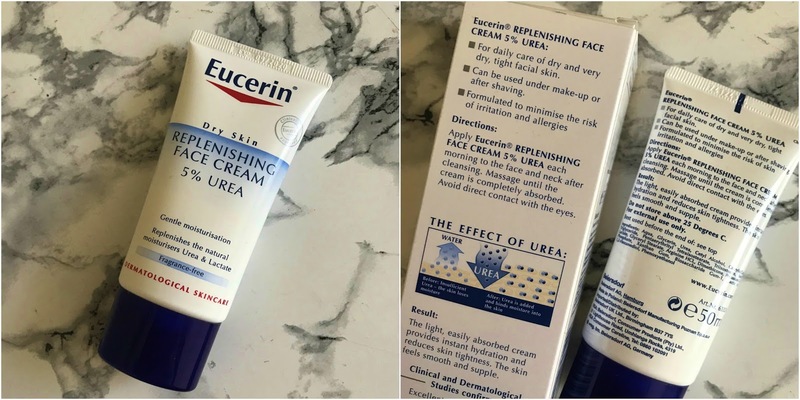 Eucerin is a German brand founded by a pharmacist, so all products in the brand are scientifically & clinically tested & proven. 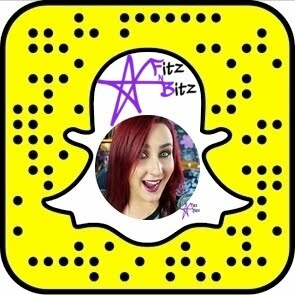 They have a range of products, but the line I purchased all contain... wait for it!..... urea! Ring any bells? You might recognise this word as being pee BUT fear not, there are different types of urea, and the one used in skincare, isn't actually urine, as it's made from a synthetic sources! Phew!! Urea exists in all body fluids & tissues & is an important part of skin's natural moisturising factor. In many dry skin conditions, natural urea levels are reduced, leading to further moisture loss. By replenishing this active ingredient, urea effectively relieves itching &skin dryness. Unlike many other skincare "miracles", once applied to the skin, it doesn't just lay on top. It actually penetrates & is absorbed so that it can retain water &then increases the capacity of the skin to hold moisture and rehydrate. 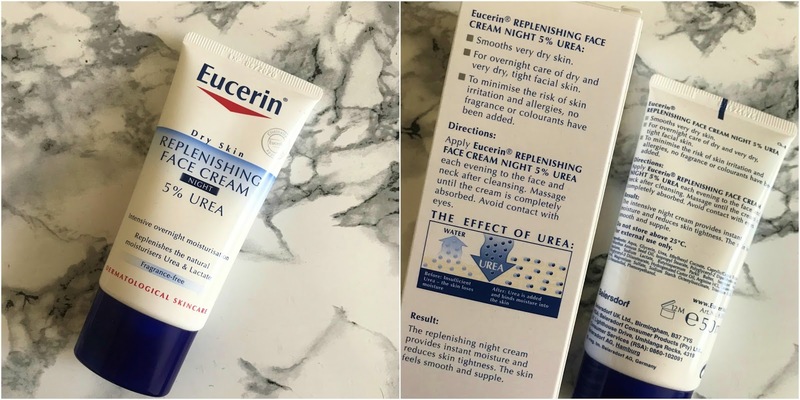 The day time Eucerin face moisturiser isn't overly thick, so it works well under my make up, but still gives me enough moisture so that any dry patches are concealed. The night time version, however, is different story. I was really impressed with this one. It's much more rich & a lot thicker in consistency - something that I love in an evening moisturiser as I feel it seeps into the skin as I sleep. When I woke up the next morning, my skin was noticeably softer & felt really hydrated and smooth. I'm a big matte liquid lipstick lover, so I apply lip balm every single night before bed to keep my lips moisturised, This one is also nicely thick &a little goes a long way. I tend to get cracked lips at the corners of my mouth & this worked a treat at easing the sting. In the above image, you can see the consistency of each product. From left to right, starting with the night moisturiser you will notice it is much thicker than the 2nd daytime moisturiser, with the last lip balm being more of a gel balm. Overall I'm thoroughly impressed. 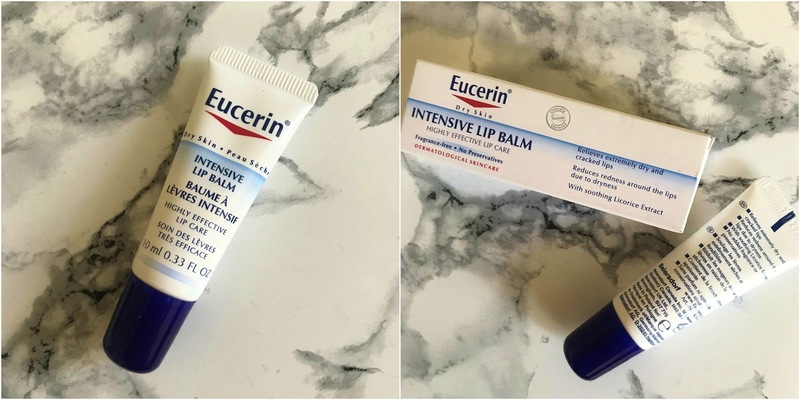 Eucerin Intensive Lip Balm - €7 from SamMcCauleys >HERE< (€4.50 currently out of stock on Inish Pharmacy >HERE< but keep an eye out as it's the lowest price I've seen). 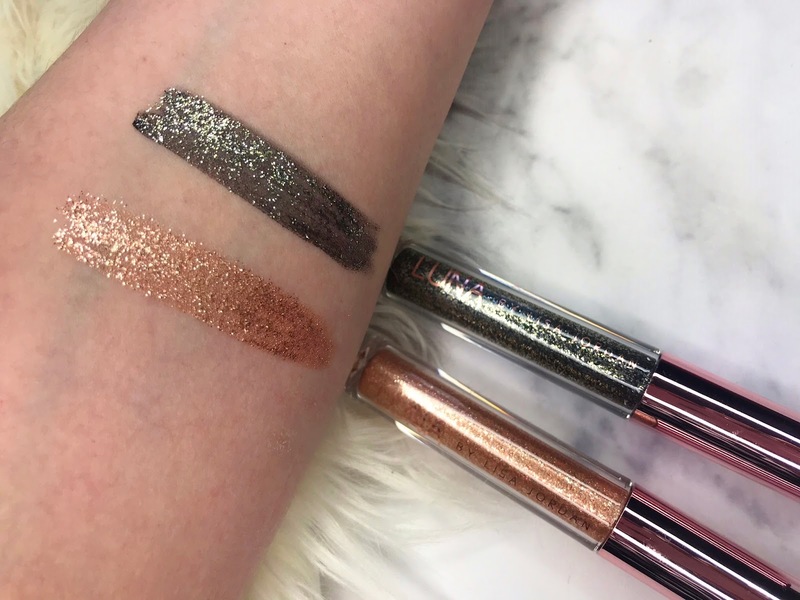 So I posted a sneak peek of the newly launched Luna By Lisa Liquid Eyeshadows to my Instagram and Facebook and you voted YES to a review, so let's get started!! If you're new to Luna by Lisa Jordan, let me tell you a little about her. 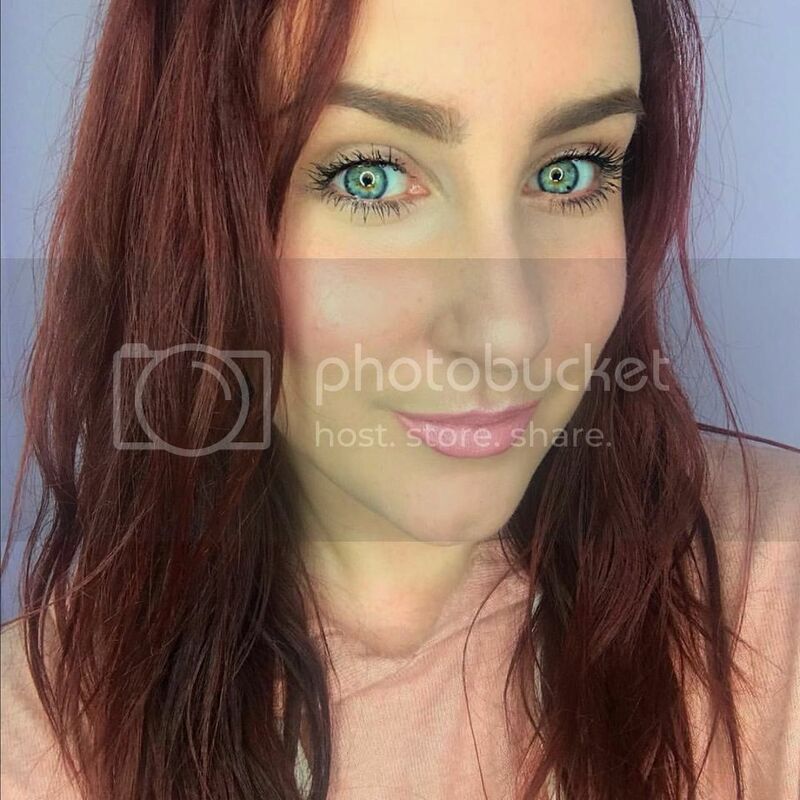 Otherwise known as "Just Jordan", Lisa Jordan is a professional makeup artist and fashion & image consultant from Cork City. 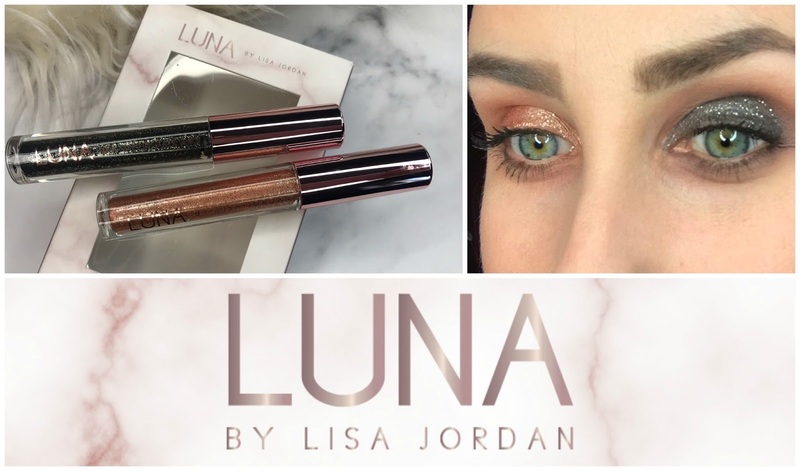 She launched her beauty line ''Luna by Lisa" last September. 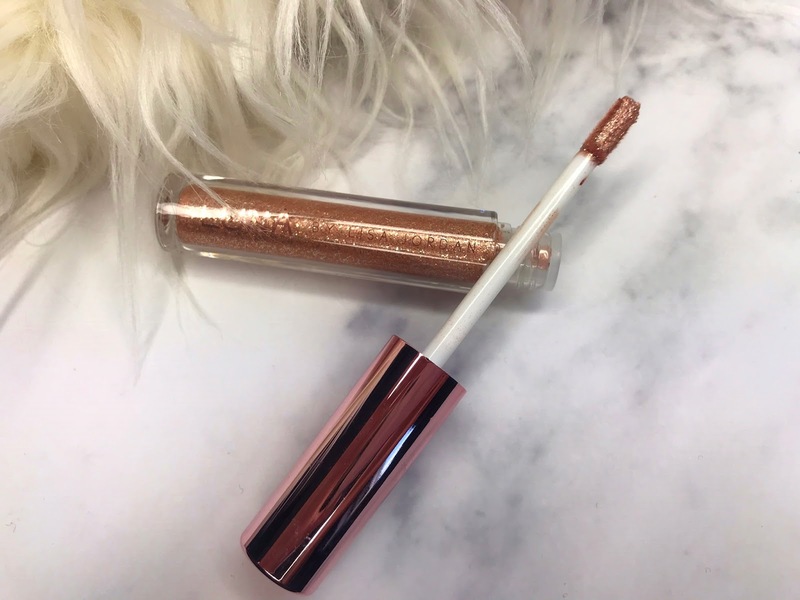 So far she has brought out a Lip Gloss collection, a leave in miracle hair treatment and her newest venture is with her liquid eyeshadows, which is what we will be taking a look at today. 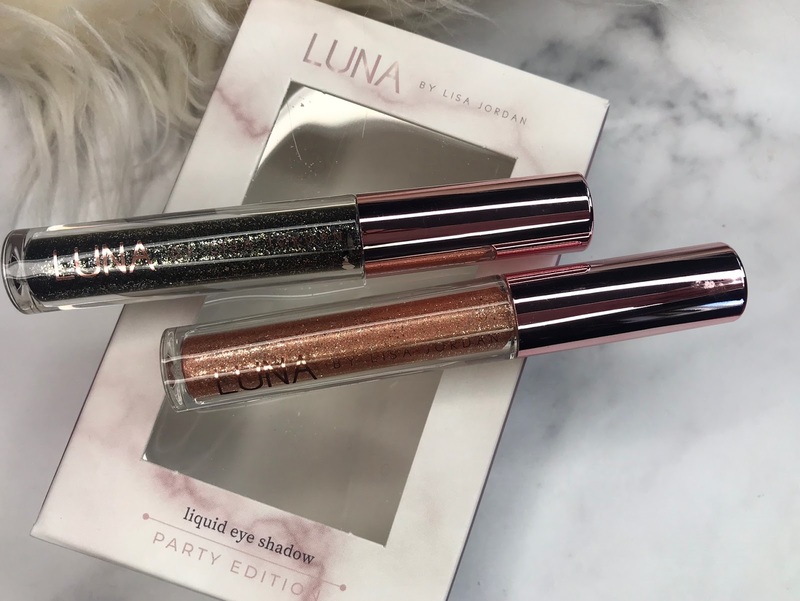 Described as a "Liquid Pigment for everyone" the two liquid eyeshadows come together in one set priced at €25 - shades Rose Quartz and Midnight Onyx. On first impression, I was a bit apprehensive as to how chunky the glitter looked in them, but nonetheless, I caved and picked them up! 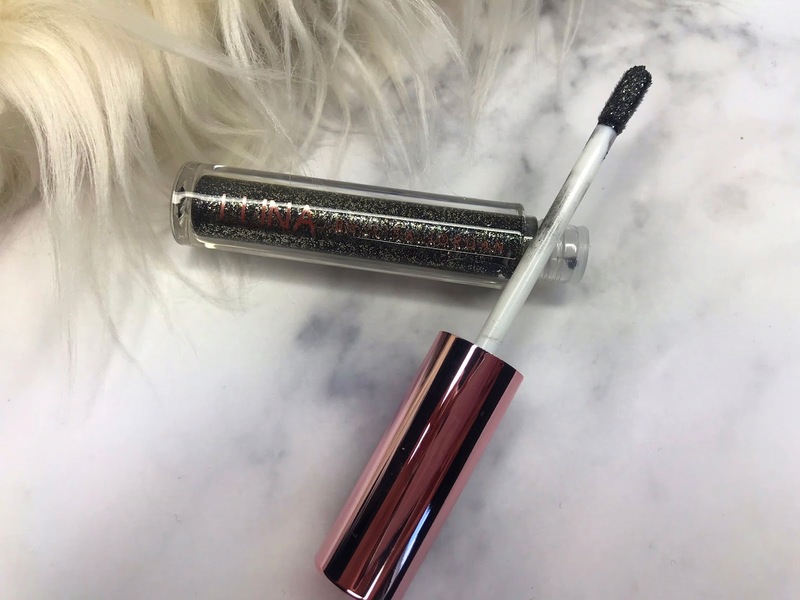 MIDNIGHT ONYX is described as "A smoky midnight grey embellished with silver glitter, this sultry shade is perfect for adding drama to your look. Easy to wear and apply, Midnight Onyx will soon become your go-to shade for after dark". ROSE QUARTZ is described as a "soft rose liquid pigment enhanced with ultimate shine and showstopping sparkle. An adaptable shade that works with any eye colour – wear Rose Quartz and shine bright every day. Surprisingly, once I swatched the liquid eyeshadows they didn't feel as grainy as I had thought they might and the glitter was super sparkly. These wouldn't be for a day to day look - more so for nights out! 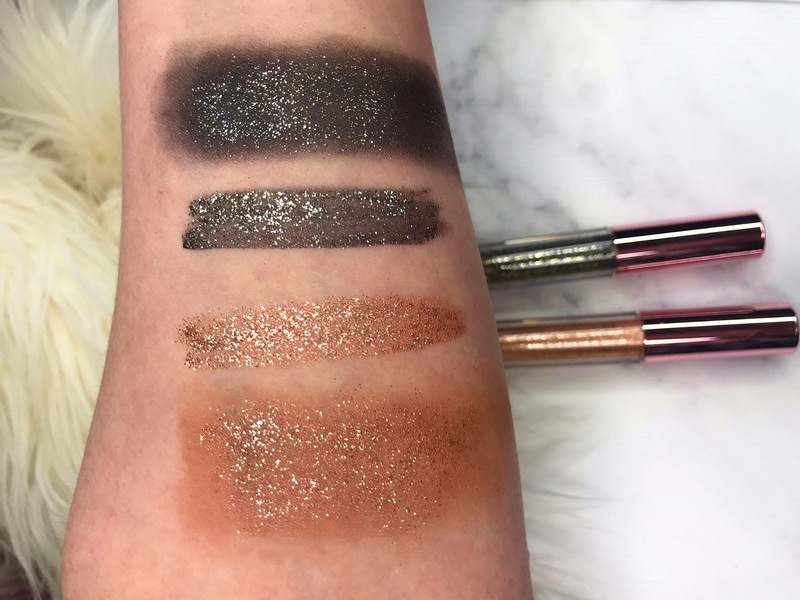 In the image above you can see that the liquid eyeshadows can be applied directly from the doe foot applicator (blend with a brush or your finger once it's on the lid) to work on their own, or layered over an eyeshadow. One word of advise though. Don't layer this product, as it will break up. For testing purposes I applied one layer, then went in to see if I could add a second to intensify it. Once it's dried on the lid, leave it be. Otherwise you'll end up with something like this!! I have to say, I was a bit dubious to begin with because they are quite sparkly but.... I do like them. 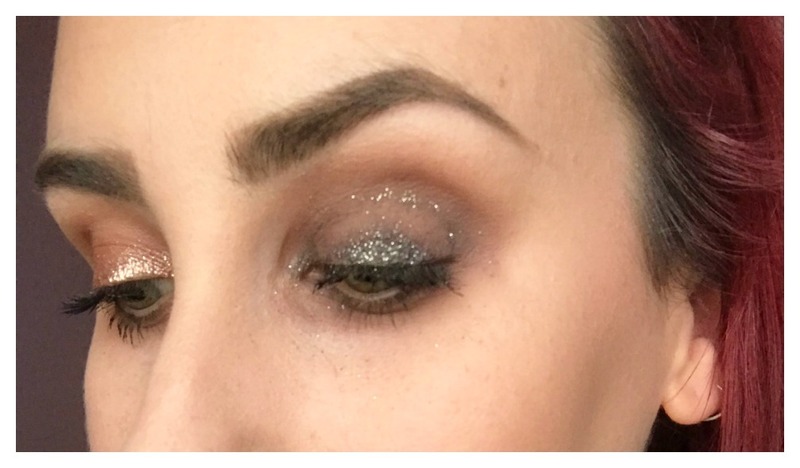 I think in particular they will suit people who find glitter/powder pigments too difficult or messy to work with. 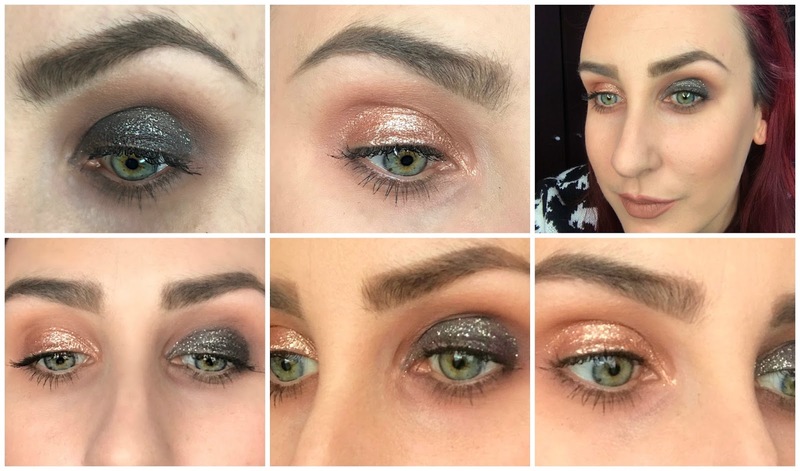 These liquid piments will add lots of glitz to your eye look in seconds and for that, they are quite unique. The Liquid Eyeshadows were released into pharmacies nationwide last week. So far they are available online from the >Luna website< >Meaghers Pharmacy< and >SamMcCauley< websites. So, today I wanted to share with you, details of an exciting charity event that will be taking place in April that I think a lot of you will be interested in. 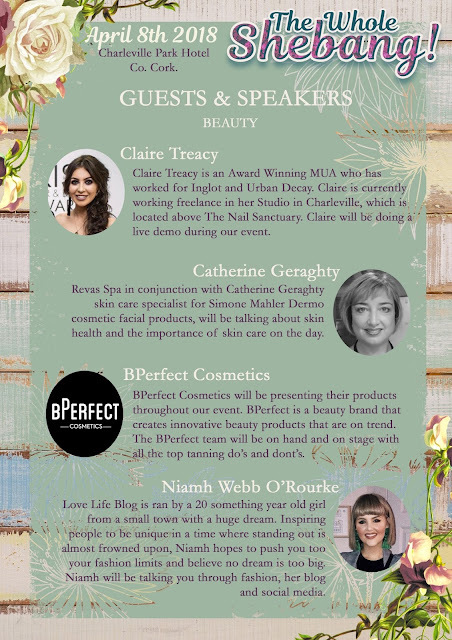 As many of you know from my >Instagram<, I get my nails done in >The Nail Sanctuary< in Charleville and owner, Kelly Marie Daly together with >Claire Treacy< - Award Winning Make Up Artist and Niamh Webb O’Rourke – >Love Life< Fashion Blogger are putting the event together as I type! Here are the details for "The Whole Shebang"! The charity event will be a girly (males welcome also of course!) day of skin care, tanning & make up demos, talks on awareness & info on topics such as anxiety, autism, mindfulness, nutrition, motivation, beauty, blogging and more! There will be lots of guest speakers, bloggers & surprises on the day. It will be an afternoon for you to doll up, treat yourself, love, laugh, sit back & relax. From afternoon tea to prosecco on arrival and some great giveaways, the pampering will never stop! The Whole Shebang event is being held from 12-5pm on the 8th of April at >The Charleville Park Hotel< in celebration of The Nail Sanctuary’s 10th year in business. All proceeds of the event will be in aid of Pieta House, Milford Hospice, St. Joseph’s Foundation and the Neonatal Unit of The Maternity Hospital, Limerick. 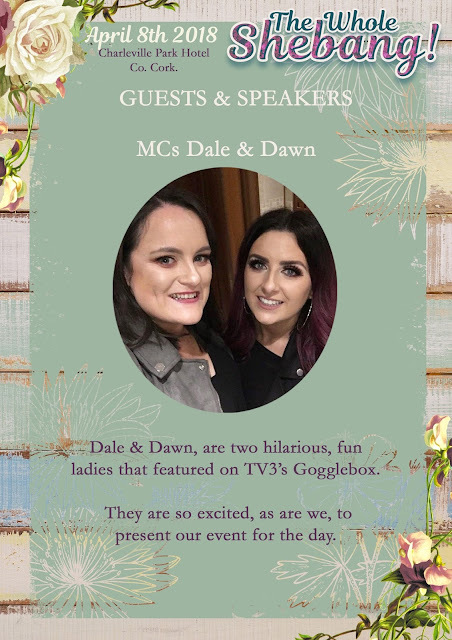 I'm very excited to confirm that the event will be M.C’d by my sister Dawn along with Dale of Gogglebox Ireland!!! The duo are gas, if I do say so myself and as I'm sure any of you Gogglebox fans will know, so lots of giggles will be had! 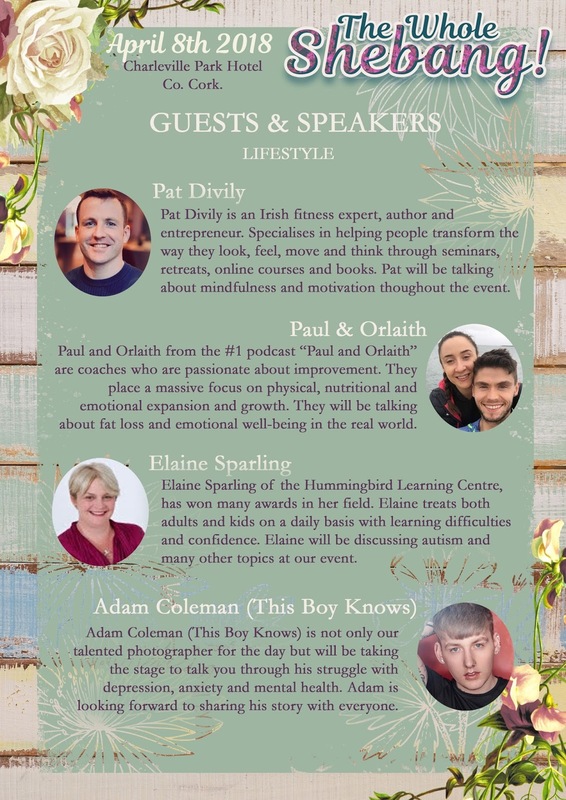 Demos and guest speakers on the day will include Bloggers, Fitness Experts, Authors, Skincare Specialists, Makeup Artists, Mental Health and Learning Difficulty Specialists and more. There will be lots of spot prizes on the day too from – Revas Spa, Leanun, Sanctuary Beauty Salon, Ballymaloe, BPerfect, dinner vouchers, hair vouchers so keep an eye out! 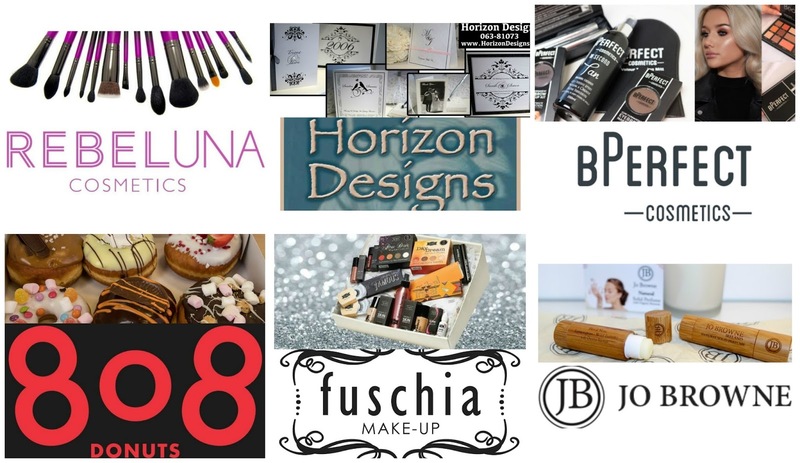 Of course there will be pop up stands galore to tempt you including – Horizon Designs, Joe Brown Ireland, Rebeluna Cosmetics, BPerfect Cosmetics, Fuschia MakeUp, 808 Donuts and more! Edit 25/02/18 - even more spot prizes and pop up stands have been added to the list such as Mrs. Pebbles, Pebble Art, Glowing Girlies Boutique, Carmel Pilates, Shoe Rack, Stella & Dot Stylist Louise Brassil Leahy, Doctor Mahers, Barrons Supplements and many more will all be there on the day!! Tickets are priced at €50, with all proceeds going to Pieta House, Milford Hospice, St. Joseph’s Foundation and Neonatal Unit Limerick, so not only will you be treating yourself, you can feel good about supporting and contributing funds to these local charities. Tickets will be available from 10am on Monday week, the 26th of February from >Eventbrite<. There will also be a link to donate online if you cannot attend on the day but would like to support. I will be there on the day and will be sure to share as much of the event as possible on social media. 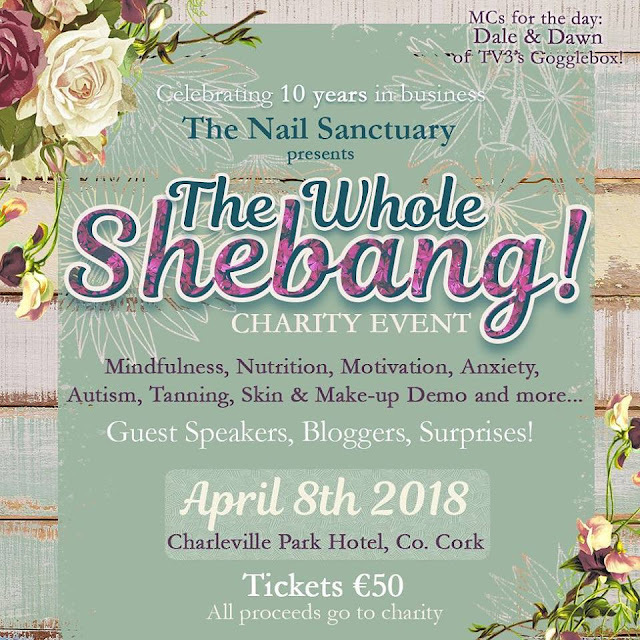 If you want to keep track of added prizes, stands and other details, make sure to keep an eye on the The Whole Shebang Facebook event page >HERE< or the Nail Sanctuary Facebook page >HERE<. Will I be seeing you there!! ?